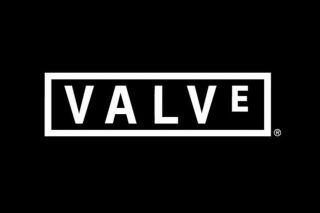 Source 2 coming, will be "free to content developers"
Valve has officially announced that the Source engine, the technology it first used for Counter-Strike: Source and Half-Life 2 in 2004, is getting a successor. Source 2 (which we've actually known about for quite a while) will be "available for free to content developers," according to Valve's Jay Stelly. "This combined with recent announcements by Epic and Unity will help continue the PCs dominance as the premiere content authoring platform." It's not clear if Source 2 will be 'free-to-use' like Unreal Engine, which charges royalties on revenue, or if "content developers" excludes certain entities. We do know that it's targeted at both developers and modders. "With Source 2, our focus is increasing creator productivity," said Stelly, according to the press release. "Given how important user generated content is becoming, Source 2 is designed not for just the professional developer, but enabling gamers themselves to participate in the creation and development of their favorite games." Valve also announced a Vulkan-compatible version of the engine. Vulkan is a cross-platform graphics API formerly called 'Next Generation OpenGL.' Support for Vulkan is in line with Valve's push to get PC gaming away from Microsoft's DirectX API and onto Linux. That's all they wrote about Source 2 (in the press release they sent us), so we don't know yet when Source 2 will be available, or what exactly the business model may be. Valve has directed us to a currently empty URL for more (www.steampowered.com/universe), so that's no help just yet. We've reached out to Valve with questions, and should be able to follow-up on the news soon. Update: Valve has clarified exactly how free Source 2 will be. It's free to use, with no royalties, but any released games must be made available non-exclusively through Steam.